BOWLING AND PUTTING – GET THE CHILDREN OUT IN THE FRESH AIR. Brian from the parks maintenance team has also been working hard to clear the mess around the green area. 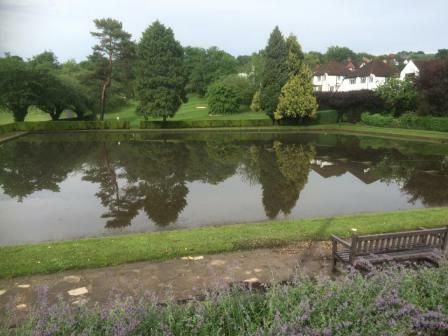 He had the inspection team coming to evaluate the Green Flag status for Marlpit Park on Tuesday 21st June and I’m keen that we help them obtain this prestigious award. Even doing a litter pick would be of help. I see the poppies coming out by the memorial which always stirs the blood. Hope we get a run of fine weather soon as want to arrange a social event for us all. Thanks for all your ongoing support. The Bowling Green has been restored to playing standard and is now open to the public. Includes equipment (All Players must have flat shoes). Playing , Helping or Making a Donation. You could help by joining the Friends. 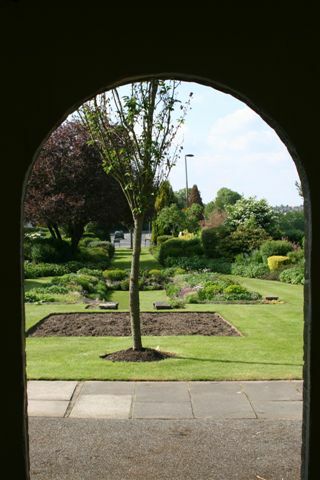 Coulsdon Memorial Park has been awarded a gold award in the London in Bloom awards up from last year when they won a silver gilt award.All thanks to the Quadron Team especially Bryan, the Poppy Café and the Friends of Marlpit Lane Bowling Green. WEDNESDAY AFTERSCHOOL CLUB FOR CHILDREN AND FAMILES. We are starting a Wednesday after-school club for families and children to play lawn bowls. As we have many younger players turning up at different times throughout the week, the club is designed to give them a focal point, where they can hopefully meet and play other bowlers their own age, as well as a chance to introduce new players. Giant Marbles, the FMLBG’s new family lawn bowls club will be running from 18th June in Coulsdon Memorial Ground. “Mum, Mum, it’s just like giant marbles!” Named after a comment from one of our younger players, Giant Marbles is open to families and children who want to try lawn bowls. Since it was re-opened by volunteers, the Coulsdon Memorial Ground green has introduced a large number of younger bowlers to lawn bowls, including visits by the Scouts and Beavers. While bowling may have the image of being a game for older players, anyone can play. Many children are pleased to learn this is a game where – with the right equipment – they can take on their parents on equal terms! Open to all experience levels, the club provides all needed bowling equipment and coaching, including specialist Junior Ace bowls to allow bowling for children aged 8 and up, and sometimes younger. We also have a set of size 0 bowls for newer players who want to try actual tournament grade lawn bowls. Bowling mats, scorecards, and tuition are all provided. All players need to bring are themselves, wearing shoes that are, in the words of the FMLBG greenkeeper “not too knobbly”. The club will run every Wednesday from 3pm onwards throughout summer, and is aimed at families, young bowlers, and people seeking an after-school activity. Players can turn up and join in at any point after 3pm to allow for different school leaving times. Once the school holidays begin it will continue each afternoon during summer at the same times. Children must be accompanied by a responsible adult. 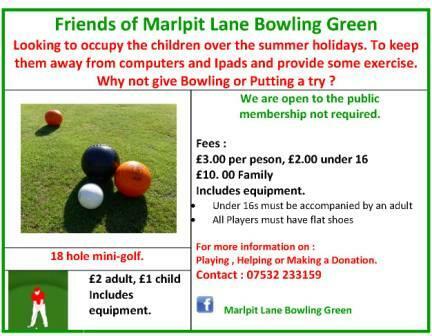 For more information please contact the Friends of Marlpit Lane Bowling Green. 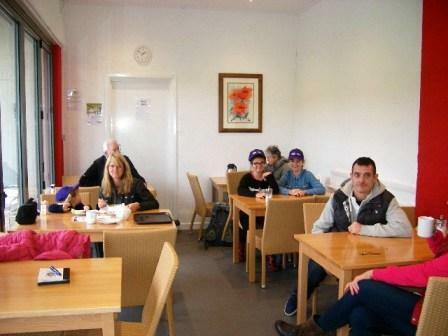 We are pleased to inform you that on Saturday 9th November 2013 the cafe in Marlpit Lane Park and Recreation Ground reopened after being closed for near 4 years. The cafe has been opened by local residents Dawn Douglas and her mother-in law Terri Douglas as a family concern. After a number of delays and setbacks the building has been refurbished by Croydon and Council tastefully decorated and by Dawn and Terri. 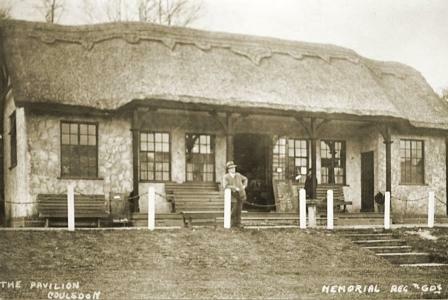 After careful consideration they decided the cafe should have a name fitting with the memorial park and have chosen the name Poppy Cafe and coincidentally they were able to open on the 9th November the Saturday prior to Remembrance Sunday. The cafe will be open from 8.00am in the mornings Monday to Saturday and later on Sundays until park closing during the coming winter. They will have a range of home cooked food aimed at those playing sport, using the park, local workers in Ulswater Crescent Business Park and people just passing by. Free wifi will also be available. Thanks to Mick White, the Friends of Marlpit Lane Bowling Green are once again one of the ‘Green Token’ charities in the Coulsdon Waitrose. Please support us if possible. The photo was taken by Angela Spain when the plaque to Bob Jacobs was unveiled outside the Bowling Pavilion on 7th February The unveiling was watched by members of Bob’s family, colleagues, friends, local residents and bowlers. 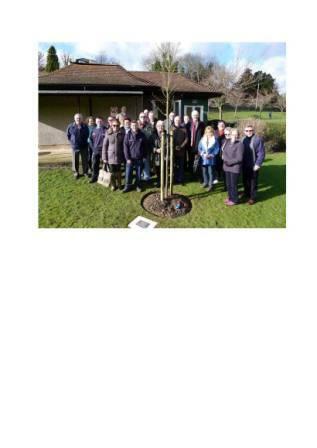 The tree was planted by Croydon Council in memory of Bob and the marvellous work he did in the Marlpit Lane Memorial Grounds from 1981 to 2011. 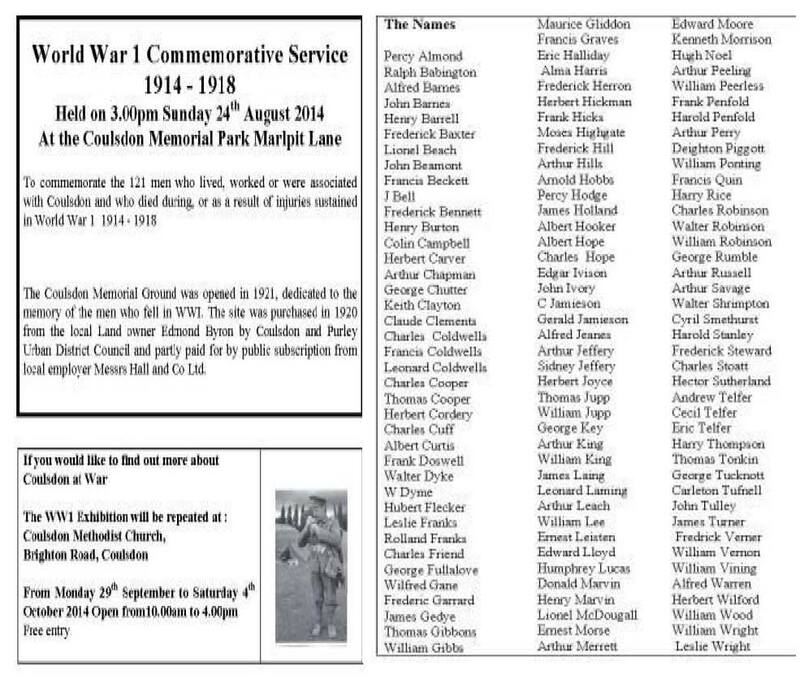 Local residents, colleagues and friends contributed towards the plaque. Sincere thanks to everyone involved in the organisation of this lovely event.